Once a month, downtown Lancaster hosts First Fridays, a collaboration of the many galleries, boutiques, restaurants and musical talents the city has to offer. Held on the first Friday of each month, it is a four-hour event presented by the Mayor's office of special events. It's an opportunity to check out the many local artisans, galleries and restaurants in the downtown area. Shops stay open later and gallery row is beckoning visitors to check out their space, perhaps enjoy a complimentary bite to eat or a drink, appreciate what they have to offer and set out on foot and check out the next place. The city comes alive and each stop is new and innovative and different. Whether it's a corner gallery, a restaurant, or a trio of musicians picking and drumming your favorite tune in center city, I promise you, you will enjoy your evening downtown celebrating culture. And perhaps during your travels find the perfect painting to compliment your home. Lancaster and its surrounding towns are growing in culture, arts, theatre and music and the time to catch it all is when the city is alive and celebrating. From 5 to 9 p.m., the city streets bustle with residents and visitors. 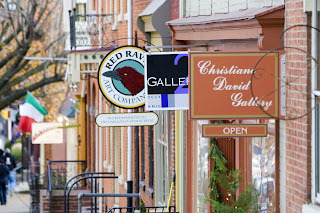 Many of Lancaster City's galleries can be found on Prince and Water Streets but there are also plenty of shops and galleries throughout the city. Lancaster Museum of Art has many different mediums featured in its museum on Lime Street, and will feature award-winning student art work for this month's First Friday. 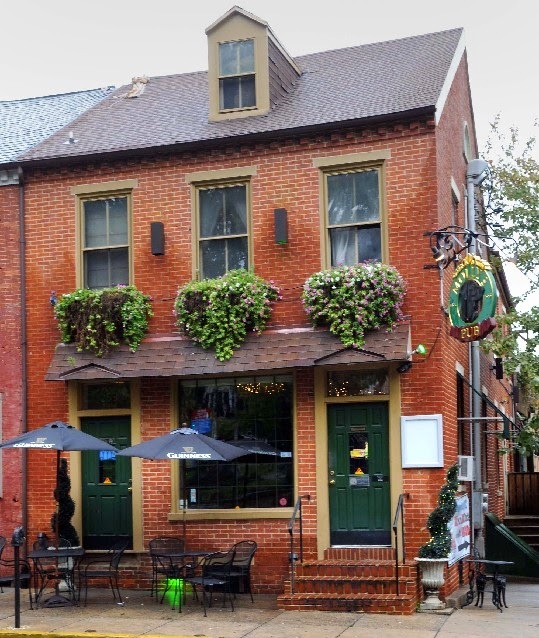 If you find yourself needing a drink or a bite to eat, stop by Molly's Pub on East Chestnut Street. A complete list of events for this coming First Friday, April 3, can be found at www.visitlancastercity.com. If you find you're in one of Lancaster's surrounding towns on a different Friday, check out Lititz's Second Fridays, held on April 11 from 5 to 9 p.m. 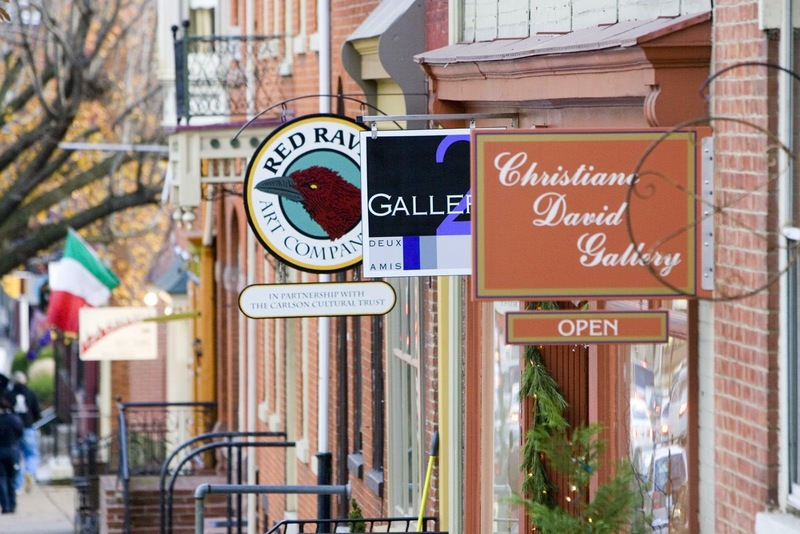 Known as one of America's Coolest Small Towns, Historic Lititz's downtown streets offer lots of boutiques, galleries and restaurants. For more information, visit www.lititzpacom. While visiting Second Fridays, be sure to check out one of Lititz's sweetest's landmark's Wilbur Chocolate's Museum and Candy Store. After a tour, be sure to pick up some delectable Wilbur Buds. 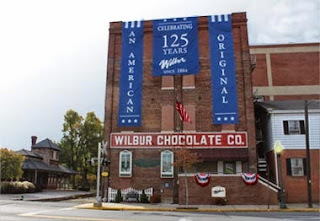 For more information, visit www.wilburbuds.com. Another tour opportunity in Lititz is the Julius Sturgis Pretzel Bakery. Guests can check out how to twist a pretzel, enjoy one of Lititz's finest snacks or shop in the gift store. 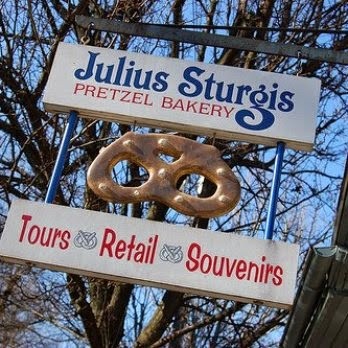 For more information, visit www.juliussturgis.com. Mount Joy has Fourth Fridays from 5 to 8 p.m. featuring a different theme for each month. The Susquehanna river towns, Columbia, Marietta and Wrightsville, get together to celebrate their towns during its Fourth Fridays. There are plenty of local bed and breakfasts to stay at while you check out the county's art scene. Visit www.authenticbandb.com to find a place that best accommodates you.